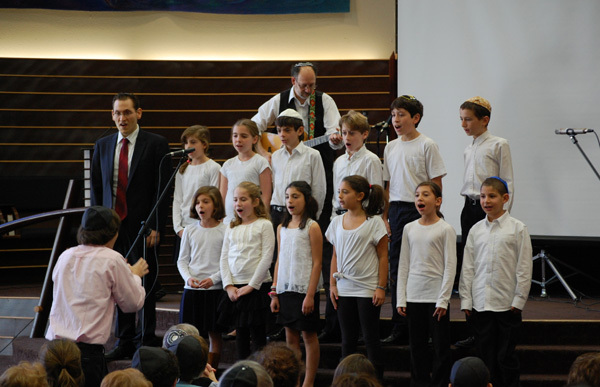 Beth El has a deep musical history and culture, including musical groups and styles that express the fullness of the Jewish scene, from Sulzer to Debbie Friedman to Carlebach. We are blessed with an amazing musical past, and an exciting musical future! Beth El also features courses on Jewish music offered through the Rabbi Samuel Scolnic Institute. Beth El is joined by some of its musical members to form the Beth El Band — which provides a rockin’ musical experience each year at our Simchat Torah celebrations. The band is occasionally in need of new and alternate members. If you’re a band-oriented musician and are interested in lending your talents (or just want to share with the Hazzan that you’re interested in playing music at Beth El! ), please contact Hazzan Fradkin at afradkin@bethelmc.org..